LED headlamps are important tools on a boat because they help keep hands free. 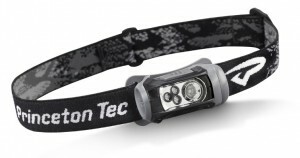 Headlamps with LEDs are especially energy efficient, thrifty on battery power, surprisingly bright. An LED headlamp helped save the life of at least one man overboard. With the 2013 gift–giving season approaching, these are wonderful gifts for the boaters in your life. We have the model at left and several others available. LED Headlamps With Red Light or White Light? Exposure to bright white light can temporarily compromise the eye's sensitivity in darkness. While some people are more sensitive to this phenomenon, it has an actual biological basis. These LED headlamps come in various configurations to suit your preference, of red light or not, with high and low power, and flashing modes. Remix LED headlamp provides either white spot light or red flood light at your call. 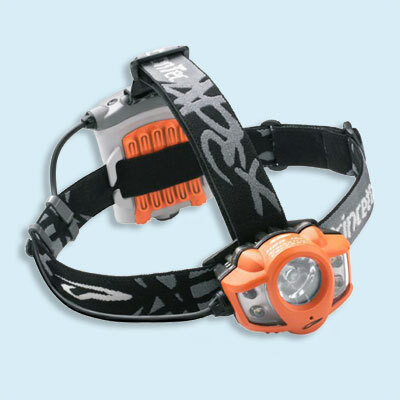 Apex headlamp offers focused spot light or wide angle flood lighting, as well as flashing light. Eos Tactical provides LED spot light with colored lens flexibility. 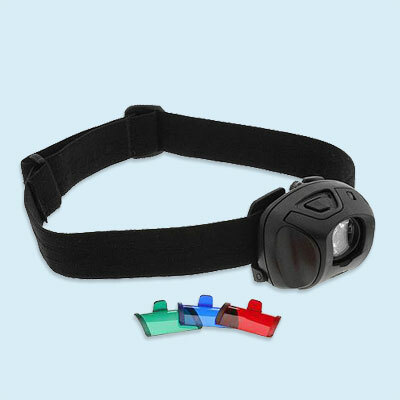 Have red, blue, or green light, or use no lens and have white light on your headlamp. Click on image to learn more and buy the respective headlamp in our online shop. These LED headlamps will illuminate targets from 60 to 120 meters away! They come in a variety of configurations. Each has adjustable elastic headband and adjustable mounts which permit orientation of the light. Some flash, all have focused spot beam, some also have wide angle floodlight mode better suited to nearby task work. They are powered by AA or AAA size alkaline batteries and appropriate batteries are included with purchase. Rechargeable batteries are a possible upgrade. 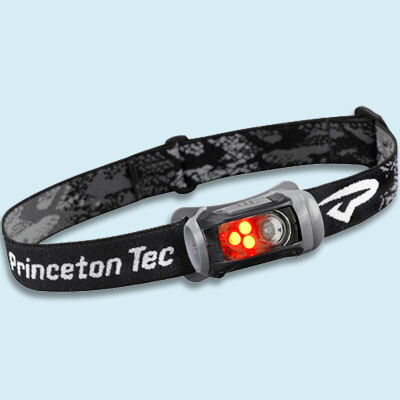 These headlamps are manufactured by Princeton Tec in the USA. Boaters will appreciate having one or more LED headlamps on board. These make great gifts! This entry was posted in Safety at Sea and tagged gifts by Philip Thompson. Bookmark the permalink. Philip Thompson is an accomplished sailor and businessman who hails from Australia. He has raced boats from Lasers to handicap fleet keelboats and skippered the America’s Cup yachts South Australia (KA-8), Steak ’n Kidney (KA-14), and Challenge Australia (AUS-17). Read lessons learned by a man overboard survivor. What do man overboard statistics tell us? Copyright © 2012-2019 The Just Group, Inc. Bringing you quality innovative products.